If you like CVTs as well as a choice of four-cylinder or V6 power, the Altima is an appealing, sportier contender when compared to the Toyota Camry and Honda Accord. Anyone who values firm control on winding and challenging roads, without a loss of ride comfort, should appreciate the merits of the Altima's taut suspension - especially the sport-tuned setup of the 3.5 SE. Sr is super sharp. I coasted into the dealership as my van broke down. This is our fifth Nissan Altima.. Obviously we are very pleased with the car! After retirement, we switched from the more expensive Maxima to the Altima as our family car. 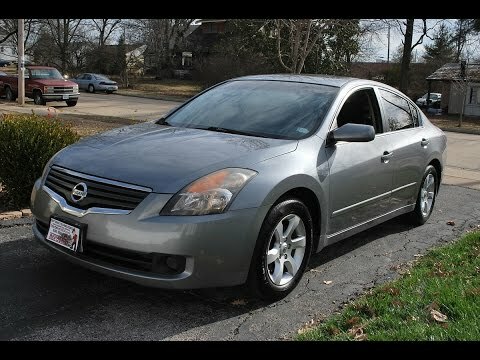 Compared to other vehicles similarly equipped, from other manufacturers, the Altima was the best priced. I know from 10+ years of driving these Altima's that they are reliable (I haven't had any mechanical issues with any of them! ), get above-average gas mileage, and offer a very enjoyable driving/riding experience! I will definitely continue to buy Nissan vehicles, specifically the Altima! Great car for newly licensed drivers. The only aspects about the car that I dislike is that it is not an all wheel drive car and there are no seat warmers. The car has a great sound system and the AUX cord makes this a car I would recommend for newly licensed drivers because not only is it safe car and driving the car is smooth and feels like luxury. I am a fast driver and I am satisfied with the car's torque aka "get up and go". When I am driving at high speeds I notice that my steering wheel starts to shake, not sure if that is because it is an older car but overall it is a great car. It seems to have a lot of fuel injector issues and leaks oil. I have had many issues but currently it has been sputtering when accelerating. It also leaks oil and brake fluid. I have had numerous issues with my tires. I love the interior and look of the car but it has been falling apart slowly for the past year. It gets horrible gas mileage. I bought the car used but it has given me nothing but problems this entire time. No matter how well I take care of the car and have it serviced, something is always going wrong. I have spent a couple thousand just this year alone keeping the car running.